Though the PlayStation-certified smartphone wasn’t considered a success on the domestic front, it made some leeway on the international market. Truthfully, the Xperia Play was a great concept for mobile gamers in search of a nostalgic gaming experience via D-Pad and buttons. And it looked great, just like every other Xperia model before it. Sadly, it was its lack of PSone games, PSN integration, and other hardware limitations that kept it from becoming the “next big thing.” At least there’s one designer out there who envisions a mobile future for the Android gaming handset, and he goes by the moniker of Jsus. 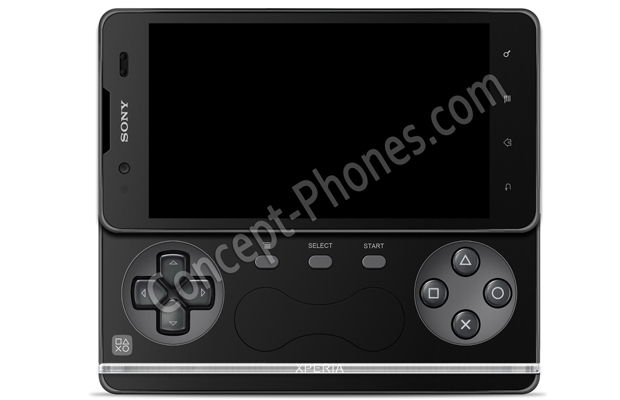 As you can tell by the image, Concept Phones snagged this exclusive image of the designer’s prototype dubbed the Sony Xperia Play 2. We can’t front, it looks pretty sick. The concept is said to feature a 4.3-inch touchscreen with 1280 x 720 pixel resolution, an 8.1 MP camera, 16x digital zoom, and LED flash. Power-wise, there’s supposedly a 1.5GHz Qualcomm Snapdragon S4 dual-core under the hood. The design takes a page from some of Samsung’s previous handsets and adds some finesse to it with the black matte and silver Xperia embezzled finish. If Sony steps up its mobile gaming library, this could be a serious contender on the Android market, granted it’s stocked with the latest OS (Ice Cream Sandwich). Guess we’ll see what develops. Dope work Jsus.